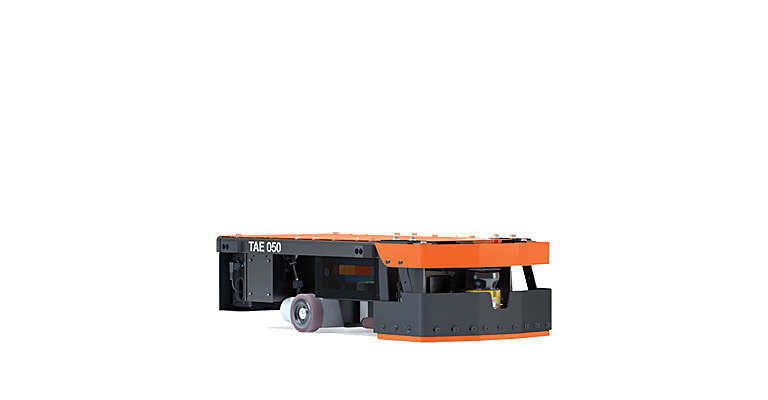 The Autopilot is available in different models depending on your operation: horizontal transportation, stacking or replenishing. 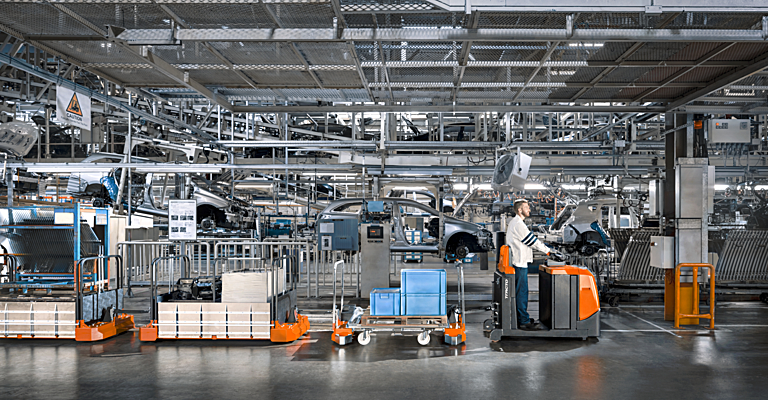 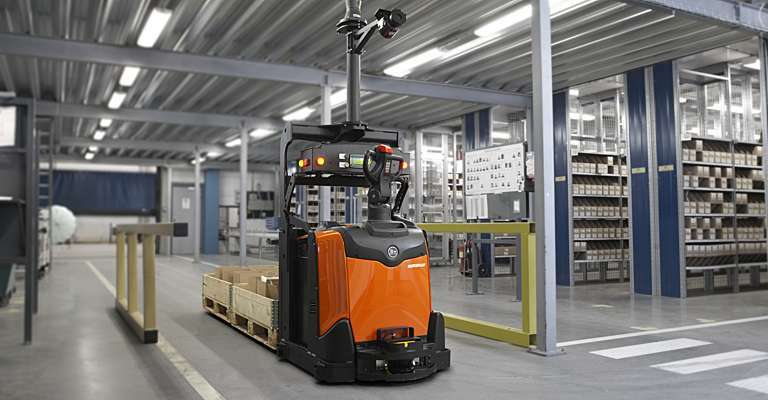 These driverless trucks take over repetitive work between production lines & storage areas or conveyor systems. 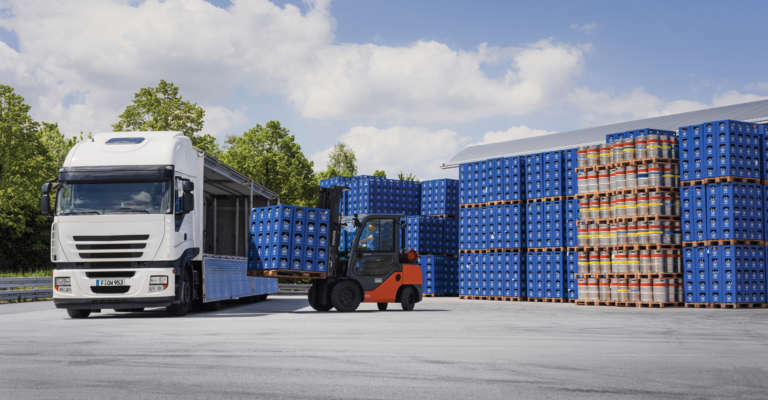 They guarantee safety thanks to advanced laser technology and are based on the standard truck designs, so they can also be driven in manual mode. 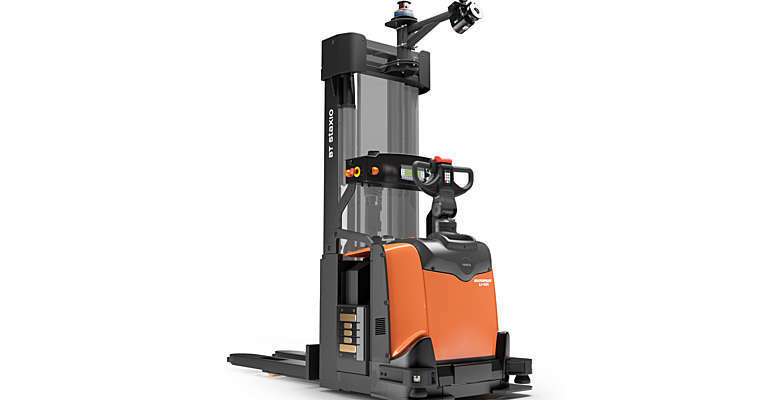 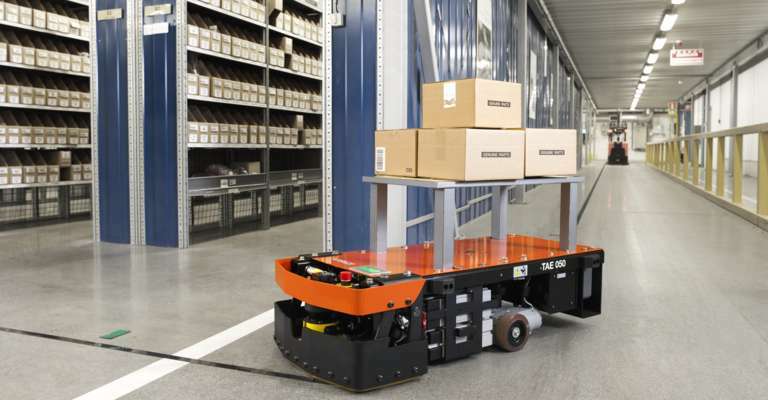 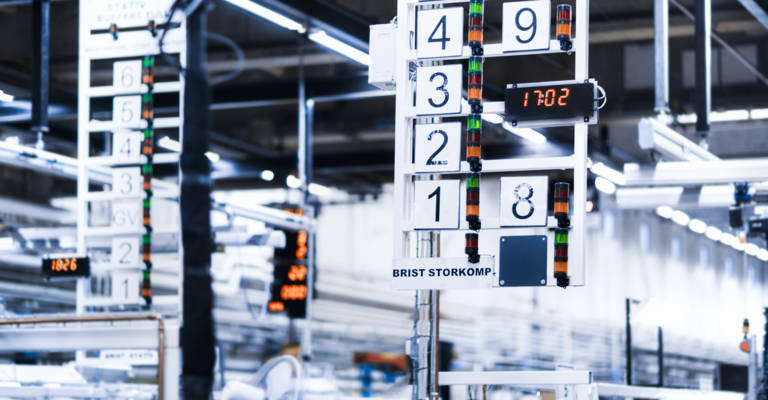 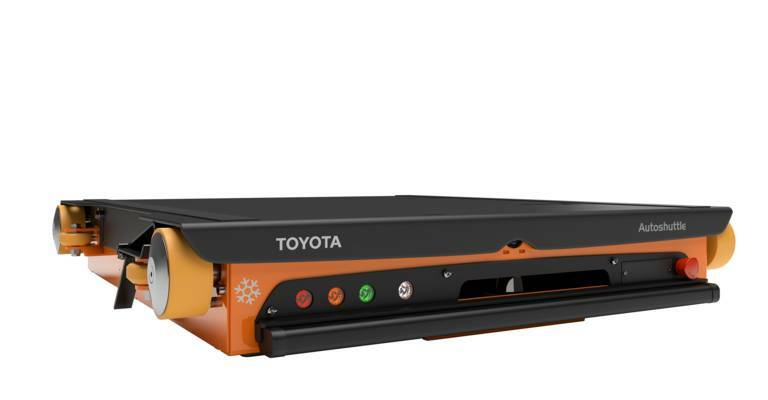 The BT Radioshuttle is a semi-automated high-speed load carrier that works in specialised racking and is guided with a remote control, while the placement and retrieval of the pallets can be done by a reach truck or counterbalance truck. 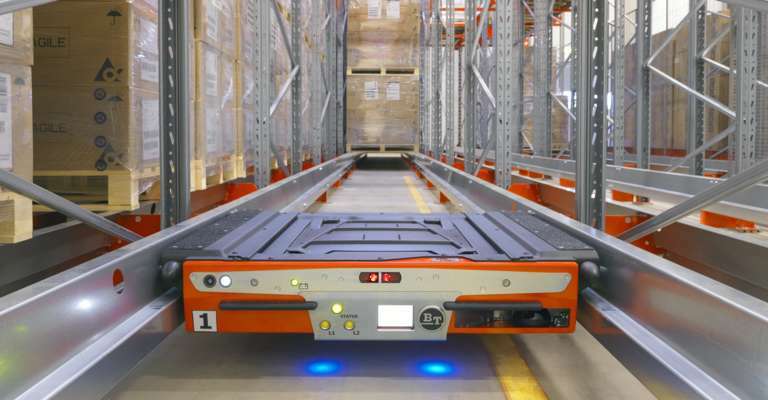 The Radioshuttle enables high-density storage and a maximised number of pallet locations, saving space and cost.